About 45 children and adults Thursday did their part to help set a new Guinness World Record for the World’s Largest Swimming Lesson. The event aims to encourage more people to swim safely. PALMDALE – Local residents joined thousands of kids and adults at aquatic facilities around the world Thursday to help set a new global record for The World’s Largest Swimming Lesson (WLSL). Marie Kerr Park pool was the official local host for the WLSL record-breaking event. 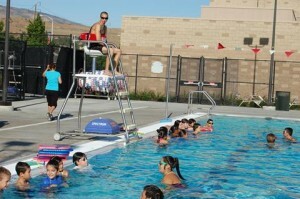 About four dozen children and parents took part in the half-hour swim lesson, which started around 8 a.m. 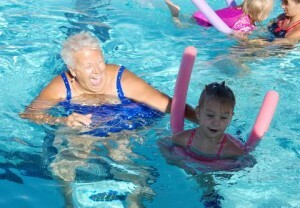 The swim lesson was broken into different groups based on age, with children as young as a year old taking part. It’s never too early to learn to swim, Nuss said, adding that drowning is the second leading cause of accidental deaths for children ages 1 to 14 years. 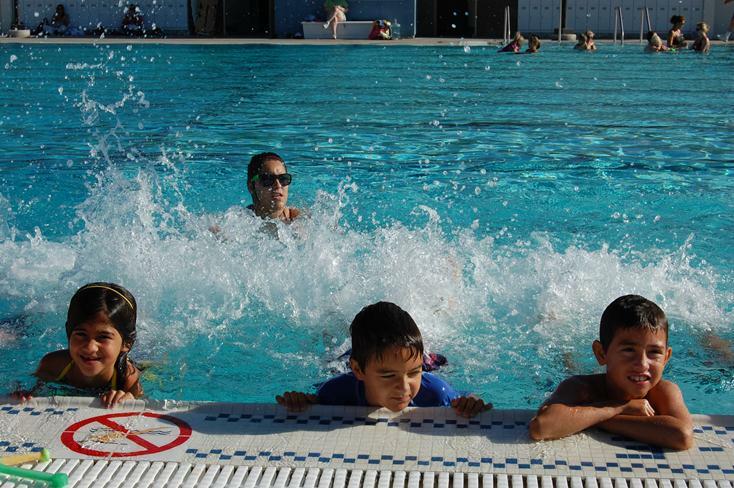 Participants at Thursday’s swim lesson learned general rules of how to act at a pool before diving into the water. Then they learned a variety of swimming skills ranging from floating techniques to the back stroke. Nuss said, at the end of the lesson, the participant sign-in sheet would be sent to Disney’s Typhoon Lagoon near Orlando, FL to be included in the official count for the World’s Largest Swimming lesson. If participants best last year’s record, the event will make the Guinness Book of World Records, Nuss said. 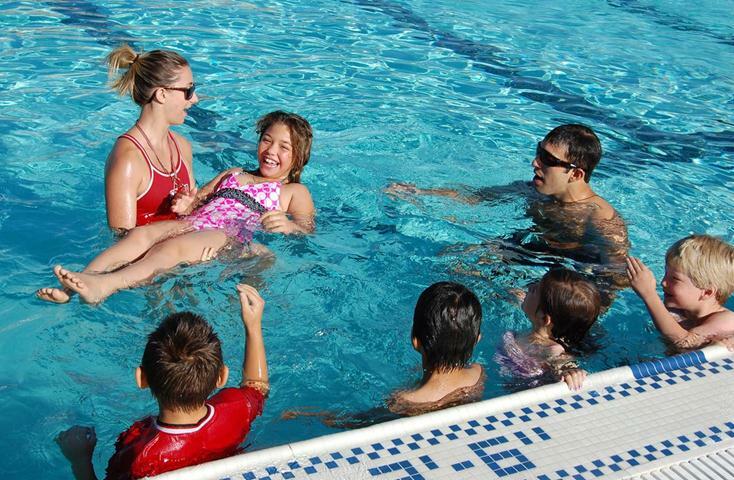 Low cost swimming lessons will be offered all summer long at the Marie Kerr Park pool. There is also a scholarship program for families who can’t afford swimming lessons. For more information, visit www.cityofpalmdale.org/playpalmdale, contact the parks and recreation office at 661-267-5611 or email aquatics@cityofpalmdale.org.